The Red Wings took an early 3-0 lead but ended up having to scrap for a victory. 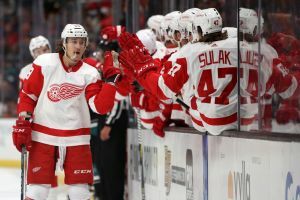 Tyler Bertuzzi scored the go-ahead goal late in the third period and Jimmy Howard had 34 saves as Detroit got its second straight win, 5-3 over the Columbus Blue Jackets on Tuesday night. 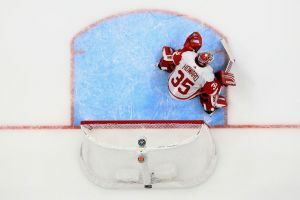 Bertuzzi scored the go-ahead goal off Sergei Bobrovsky’s stick with 3:24 left in the game, and Dylan Larkin got an empty-netter — his second tally of the night — with 43 seconds left to seal the victory. The Blue Jackets had scored three times in the third period to tie it. 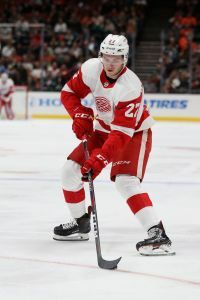 Nineteen-year-old Michael Rasmussen got his first NHL goal and Anthony Mantha also scored for the Red Wings, who snapped the Blue Jackets’ two-game winning streak. 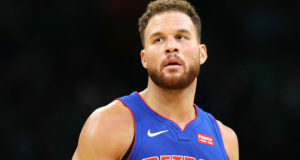 Detroit’s two consecutive wins came after losing nine of the first 11. Columbus goalie Joonas Korpisalo, who made his third straight start, had a horrific 13½ minutes, giving up three goals on Detroit’s first seven shots. He was replaced after the third goal by Bobrovsky, who settled things down but gave up the game-winner. Bobrovsky finished with 23 saves. The Red Wings took advantage of an early power play. Rasmussen scored 1:06 into the game when he beat Korpisalo from the slot, with former Blue Jacket Thomas Vanek getting the assist on a smooth pass out from behind the goal line. Detroit’s second goal came on a breakdown of the Blue Jackets’ special teams. 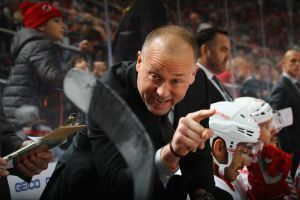 With Columbus on a power play, the puck got loose into the Red Wings’ zone, and Larkin carried it past a sprawling Seth Jones and got the short-handed goal between Korpisalo’s pads . Mantha made it 3-0 on a 2-on-1 rush to chase Korpisalo. After a scoreless second period, the Blue Jackets took over. Anderson got his sixth goal of the year early in third when he whiffed on a first try but a got a second chance to beat Howard from the doorstep. Nutivaara got his first goal of the year, and Dubois tied the game just over a minute later when he found a sliver between the post and Howard’s stick side. 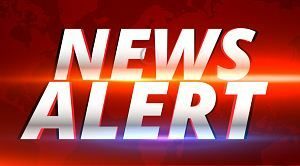 How well Columbus is playing can usually be discerned from how long coach John Tortorella is willing to entertain questions from the media after the game. On Tuesday night, he provided mostly one-word answers and abandoned the podium after 57 seconds. 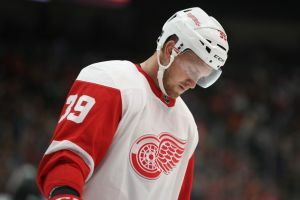 NOTES: Detroit F Andreas Athanasiou and F Frans Nielsen did not play because of undisclosed injuries suffered in the win over the Dallas Stars on Sunday. 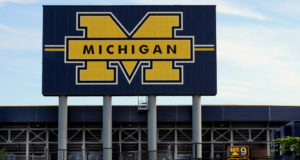 … Vanek returned to Columbus for the first time since signing a free-agent contract on July 1. He had 15 points in 19 games for the Blue Jackets last season. … Vanek got his 400th NHL assist on Rasmussen’s goal, but left in the game later in the first period with an injury. … Columbus has given up the first goal in six of the last seven games. … Detroit won for the first time in the last eight games against Columbus going back to Dec. 6, 2016. Detroit: Hosts New Jersey on Thursday. Columbus: Begins a three-game West Coast swing against San Jose on Thursday.